With their tools of market success refined, these social entrepreneurs can achieve maximum potential and maintain a sustainable business model while keeping their social impact missions the driving force of their enterprises. The social entrepreneurs in Cohort 13 are achieving impact in a variety of sectors, but whatever their focus and wherever they work, they are tackling deeply rooted problems, asking the hard questions, and breaking unjust equilibriums. Education is often identified as a root cause of systemic change, which might be why six of the cohort members are focusing on education in their respective regions. Each of them takes a different and unique approach to the identified needs of their beneficiaries. Edupay is making quality, low-cost primary education accessible to the rural poor in Ghana, and accessibility is also a key focus of i-Saksham Education and Learning Foundation, which serves youth in India. Accelerated places emphasis on coaching teachers so that they can lead more effective and engaging classrooms in Ethiopia. Coschool moves beyond traditional educational techniques to foster Colombian students’ social and emotional well-being alongside leadership training and camps to build character. Bodhi Health is also education-based, expanding the accessibility of quality medical training through e-learning. Many of these social enterprises tackle a combination of the UN’s Sustainable Development Goals in different ways. Miyonga Fresh Greens addresses environmental issues by reducing food waste through agro-processing, but also empowers local farmers by making certification more accessible to smallholder farmers, reducing poverty, and growing local businesses. Discovered not only addresses the economic growth of artisans’ small businesses in emerging countries, but advances gender equality as many of these artisan entrepreneurs are women. Photo courtesy of Elevated Honey Co.
Cohort 13 realizes the importance of understanding the specific context of unjust systems in place, engaging directly with the people they serve so that culture and way of life of those impacted are considered. 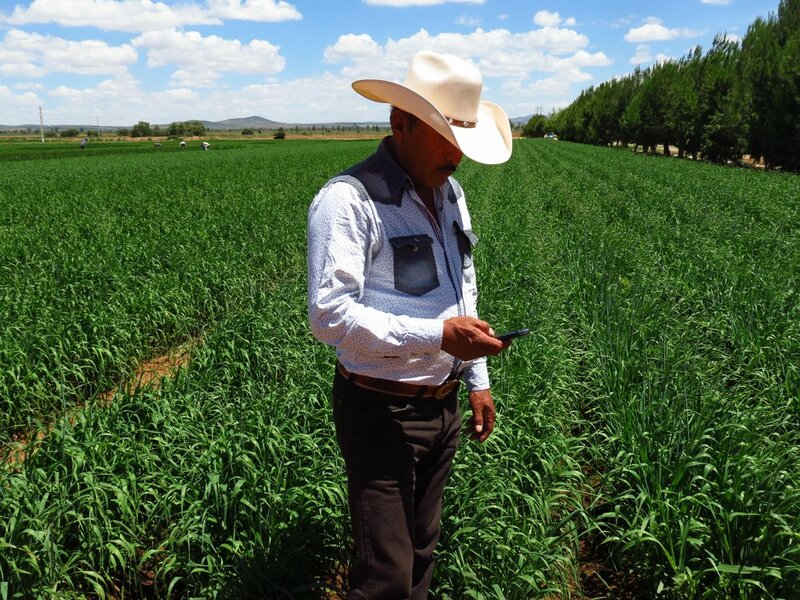 A great example is Extensio, a social enterprise which found that Mexican farmers could greatly benefit from a digital field agent. The cell phone application communicates best agricultural practices, among other information that helps these farmers to increase productivity and standard of living. Elevated Honey Co., based in China, has identified a need for working to improve the honey industry, highlighting the need now more than ever for empowering rural beekeepers. The global reach of a few in Cohort 13 is remarkable. VIA Global Health and GOODdler are both online platforms that do a world of good: VIA works towards universal access to the tools that enable quality healthcare in underserved markets, and GOODdler maximizes the impact of humanitarian assistance. These are just some of the incredible social enterprises that completed the GSBI Online accelerator in Cohort 13 – every one of the 21 social entrepreneurs are already making lasting change. Check out all of their Investor Profiles, and view their final presentations to find out more about the work they’re doing to change the world. The GSBI Online accelerator provides a challenging yet rewarding experience for participants, and over the past six months of collaboration and mentor accompaniment this year’s cadre of social entrepreneurs have proven that they have truly put in the work to get the most out of the program and have graduated with validated business models that will further serve the poor and protect the planet. Apply for the next GSBI Online accelerator cohort here.